Kosta is using Smore newsletters to spread the word online. Step 1: First you need to look at the denominators of both of the numbers. 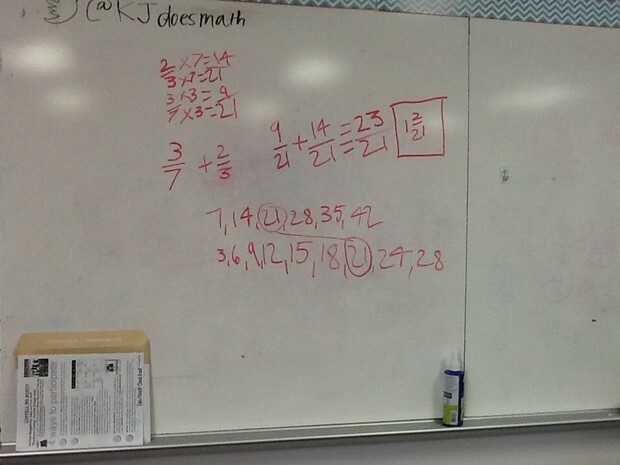 Step 2: Then list the multiples of both of the denominators. Step 3: Find the least common multiple between the two denominators. 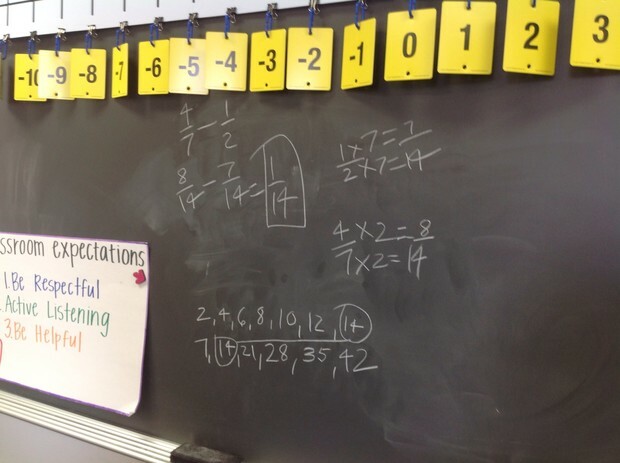 Step 4: Multiple the denominators by a factor that equals the least common denominator. Step 5: Use the same factor you did with the denominator and use it for the numerator. Step 6: Now the answers you got for both fractions, use them to add them, you add the numerators , and leave the denominators alone. Step 7: Box your answer. 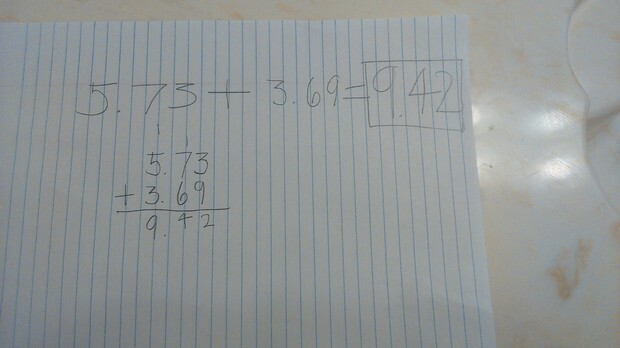 You do the same thing for subtraction, except at the end you subtract instead of adding. Step 1: First you look at the equation. Step 2: Keep the first fraction the same, then change the division sign to a multiplication sign, and the last thing you do is switch the denominator and the numerator for the second fraction, otherwise know as their reciprocal. Step 3: Multiple the numerators and the denominators. 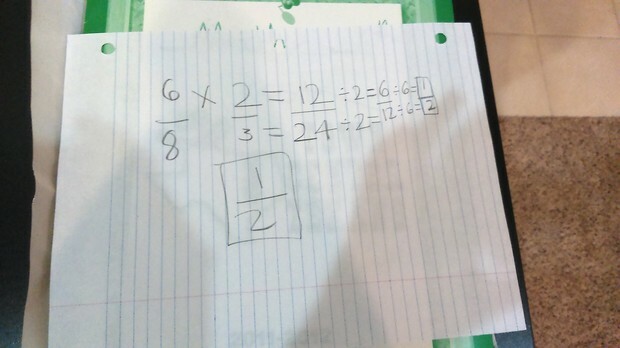 Step 4: Simplify if you can, if you can't that fraction you got will be your answer. Step 1: First you look at the fraction. Step 2: Multiply the numerators and the denominators. Step 3: Simplify your answer, if you can't then the fraction you got is your answer. Step 1: Line up the decimals. 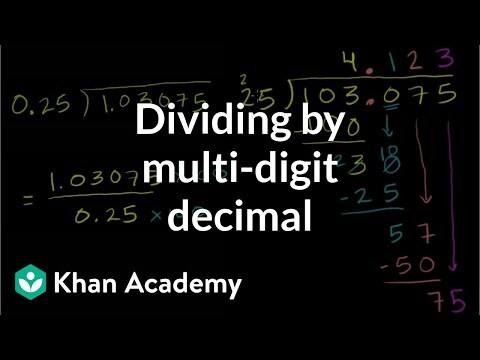 Step 2: Multiply the two decimals using algorithm, ignore the decimals. 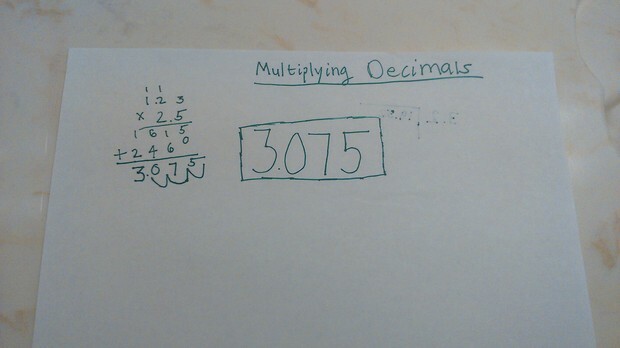 Step 3: Count how many numbers you have behind the decimal in the equation. Step 4: Place the decimal from the right of your answer, how ever many numbers you have behind the decimal in your equation. Step 1: Make the divisor a whole number by moving the decimal point to the right of the divisor. Step 2: Move the decimal point in the dividend by the same number of hops you did for the divisor. Step 3: Divide the numbers normally, ignore the decimal in the dividend. Step 4: Place the decimal point in the answer lined up with the decimal point in the dividend. Let's do one more decimal division problem together but change it up. This is one with a decimal divisor and will require you to shift the decimal first. Step 1: Using algorithm line the decimals up in the equation. 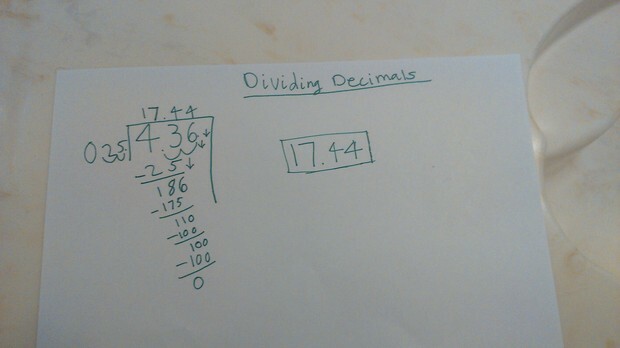 Step 2: Add the two decimals, but ignore the decimal in this step. Step 3: Bring the decimal straight down from your equation, that will be your answer. 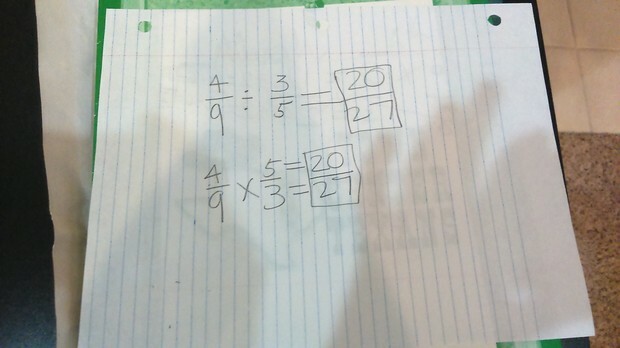 You do the same thing when you subtract fractions, the only difference is that you subtract in step 2.